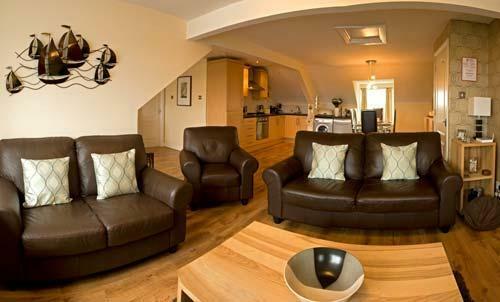 In the main lounge area there is ample space for guests to relax on the comfortable three piece suite. A large flat screen TV with integral Freeview, a Blu-ray player and Video recorder are also provided along with a selection of DVDs and videos. Adjacent to this is the games room which comprises of a large flat screen TV with a Sony PlayStation 3 and a selection of games, and table football. There is also a selection of conventional board games and books available. Free Wi-Fi is available to all Penthouse guests. A large extending glass dining table and six chairs provides space for guests to dine in comfort. The superbly equipped kitchen is again of a modern design and comprises of a gas hob, electric fan oven, integrated fridge/freezer, microwave, kettle, toaster, sandwich maker, Senseo coffee machine, dishwasher and washing machine. There are three bedrooms: one king and one double, both with en-suite bathrooms, and one twin bedroom and a family bathroom. All baths have a thermostatic shower over and shower screen. The beautiful Isle of Anglesey has over 100 miles of diverse and ever-changing coastline, with most places classified as Areas of Outstanding Natural Beauty. Stretch your legs on a choice of more than 650 miles of footpaths, spanning everything from rugged coastal cliffs to ancient woodlands. Tread the 400 steps down to South Stack Lighthouse (but don't forget, you've got to climb them back up again). Hire a bicycle and pedal miles of quiet lanes and tracks. Book a pony trek. Explore the waymarked nature trails. Or just relax with a good book on one of the award winning beaches. 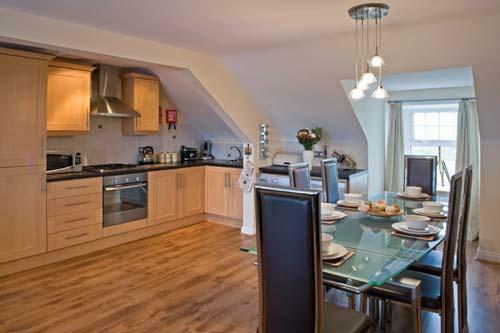 The Penthouse in Beach Court is situated in the heart of Trearddur Bay with a wide range of restaurants, pubs, shops and amenities close by, and the exceptional European Blue Flag beach less than a five minute walk away. 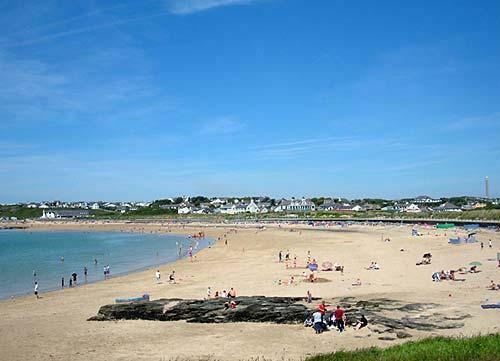 Trearddur Bay is home to the beautiful European Blue Flag beach, which is undoubtedly one of Anglesey's premier beaches. Trearddur Bay combines cleanliness with space. Depending on the time of the year, there is a vast amount of sand and the sea is conducive with lots of water sports, including canoeing, surfboarding, and water skiing. 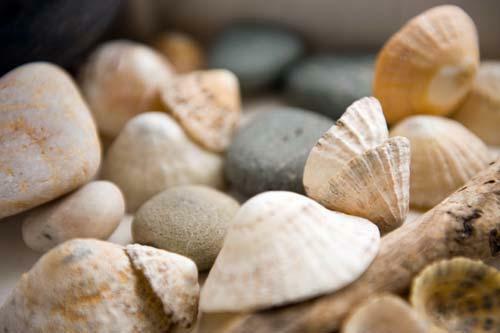 It is perfect for families due to its sandy bay sloping to the sea and protected bathing area, marked by buoys, and rockpools. 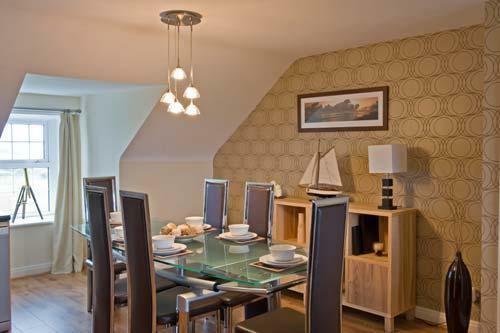 There is a host of local shops, pubs, cafes and restaurants in Trearddur Bay, and also a Tesco, Morrisons and shopping outlet with an assortment of shops just five minutes away in the car at Penrhos. Holyhead to the north of the island is just a couple of miles up the road, with an array of shops, takeaways, bars and restaurants. There is also an ancient Roman fortress and a church dating back to the 14th century. Day trips to Ireland can also be taken from here. 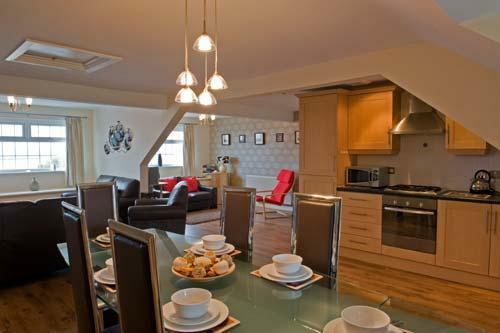 "Lovely apartment .... very clean and great facilities and lovely views. We will definitely be returning. Thank you." 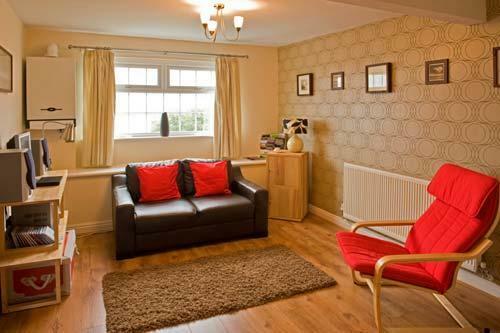 "Lovely apartment,well stocked ,great location and very comfortable,Great restaurants nearby. Really enjoyed our stay." 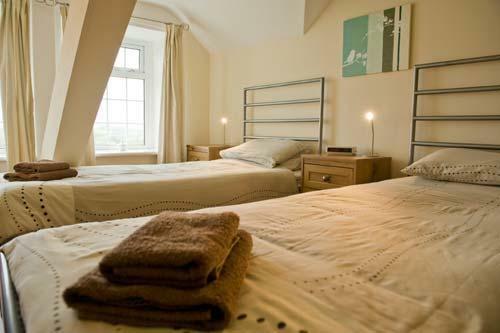 "A really lovely apartment - spacious and clean, with everything you need for your stay. Very straightforward to book and great communication with the owner. Would highly recommend." 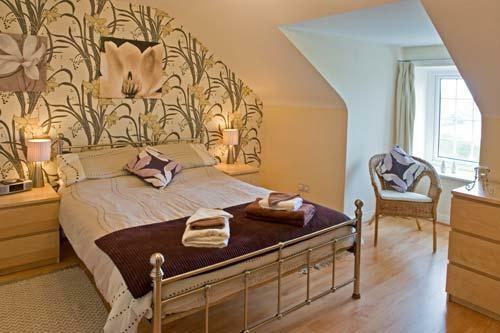 "We had a fantastic time staying here. The outside of the building is a bit weather beaten but you soon forget about that when you get into the apartment, it's really cosy and welcoming. There's loads of space and its really well equipped. Nice touches too, PS3 and a fussball table - great for the kids on the couple of days when it rained. A couple of minutes walk from the fantastic Treaddur Bay beach and within easy reach of other great beaches. It's really tranquil and peaceful, Couple of nice cafes within a five minute walk. Handy for the Spar and within a mile or so of an ASDA and Tesco so shopping for essentials is easy." Following the A55 Expressway over the Britannia Bridge to Anglesey, follow the road to the right. Take Junction 3 signposted Valley A5. Stay on A5 and turn right at first roundabout, go straight over second roundabout. Turn left at traffic lights, go over the railway. Follow road round then straight over next roundabout. Continue on through Four Mile Bridge, on the B4545 to Trearddur Bay. 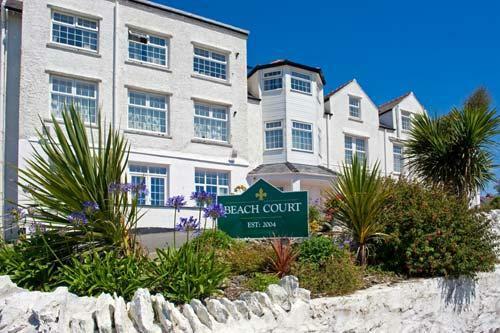 Beach Court is the large white building on the right with the white wall and steep driveway. Upon arrival you will need to obtain the keys from the key safe, the code will be included in your Welcome Pack which you will receive approximately one week prior to your stay. Parking is not permitted at the front of the building; this is just for the loading/unloading of your vehicle. Nor is it permitted on the Beach Motel's car park. A designated area with lockable gates is available for all guests at the rear of the neighbouring church. A high standard of cleanliness is assured. Freshly laundered bedding and towels provided. High chair, cot and selection of toys available upon request at no extra cost (please inform us prior to your arrival if you require the cot, as this needs to be assembled and placed in situ; you will need to bring your own bedding for the cot). One small well behaved dog may be permitted, please enquire. Please note: A returnable £100 damage and security bond will be required upon booking your holiday. Our experience shows that this procedure results in an all round better holiday for everyone, as we as home owners are prepared to offer a better quality property for our guests and all guests fully respect the property, so making manageable the process of preparing the property for the next guest's full enjoyment. Nearly all our guests are respectful people where the bond is fully returned. 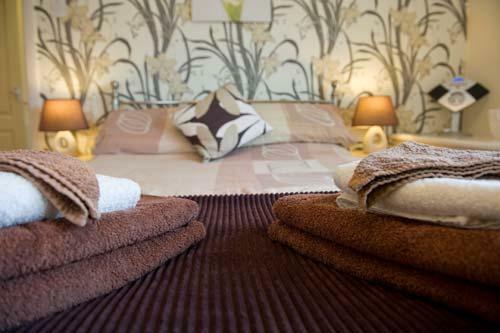 We have a high proportion of returning guests who are appreciative of our service and the high standard of accommodation that we strive to provide. Thank you in advance for your co-operation.